Maybe you’ve heard about the benefits of going dairy-free, but you’re not sure if it’s right for you? This post includes six health reasons to go dairy-free. There are many reasons one would choose to go dairy free. Some people might be allergic to dairy or have an intolerance to the lactose found in dairy products. Some people might not feel well when they consume it. Some people might choose to give it up for ethical reasons, including those on a vegan diet. Whatever your reason is for choosing a dairy-free lifestyle, just know that there’s no evidence showing that humans must consume dairy throughout our lifetime. Humans are the only mammals that consume dairy products from other species. As soon as a baby is weaned off of its mother’s milk, it is usually given cow’s milk as a replacement. The dairy industry has convinced us that this is a requirement for healthy bones and proper growth. Consuming milk of a cow is absolutely not a requirement for health, unless you’re a calf! 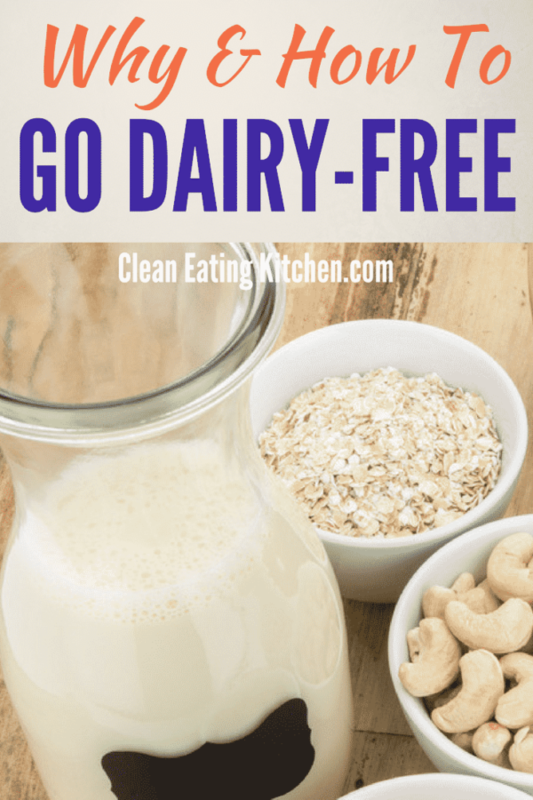 Besides being a common allergen or creating stomachaches in people who may be intolerant to lactose, there are several other reasons to consider for going dairy free. Remember the “Got Milk?” campaign? That was the conventional dairy industry trying to convince us that milk is good for us. And while we do need some of the vitamins and minerals found in milk (but are widely available in other foods other than dairy), we don’t need to be exposed to the added antibiotics and hormones used in conventional dairy products. Antibiotics are given to most dairy cows in mass quantities to help prevent infection. Studies show that these antibiotics are ending up in conventional dairy products. We are also being exposed to hormones when we consume conventional dairy products. Bovine growth hormone (BGH) is a naturally occurring hormone in cows that stimulates insulin-like growth factor 1 (IGF-1). Conventional dairy operations give dairy cows a synthetic version of BGH known as rBGH to stimulate milk production, further increasing the levels of IGF-1 in the milk supply. Higher levels of IGF-1 in humans have been linked to an increased risk of various cancers. IGF-1 is great if you’re a calf who needs to grow quickly, but not so great if you’re an adult human. Traces of pesticides have also been found in conventional dairy products. The insulin-like growth factor that’s purpose is to fatten up baby cows may be fattening you up as well. Consumption of dairy products raises insulin levels. Therefore it is not recommended for those who need to avoid excess insulin exposure, such as those with diabetes, polycystic ovary syndrome (PCOS), and other serious metabolic disorders. The sugar in milk called lactose, combined with the whey and casein proteins found in dairy, are responsible for increased insulin levels in humans. Milk of all kinds, as well as yogurt, cheese, and anything with casein and whey, can elicit a significant insulin response. One study showed that in some people, dairy products were even more insulinogenic than white bread. Yikes! That’s not good if you’re trying to stay off a blood sugar roller coaster or trying to lose weight. You can actually help your hormones by ditching dairy. Dairy consumption promotes excess estrogen in the body due to it containing estrogen from female cows. It can account for up to 80% of dietary estrogens if someone is drinking a lot of it. This is not good since excess estrogen from any source has been linked to an increase risk of female cancers. Men aren’t off the hook though. They are more at risk for developing testicular and prostate cancer when they have excess estrogen in their bodies. This hormonal imbalance can also cause mood swings and lead to unwanted reactions like acne. An estimated 70% of the world’s population may be lactose intolerant. Even people who produce lactase (the enzyme needed to break down the lactose in dairy) can experience digestive upset when consuming dairy. Proper digestive functioning is needed in order to break down the proteins, sugars, and other carbohydrates found in dairy products. Most people today lack optimal digestion due to consumption of a standard American diet. 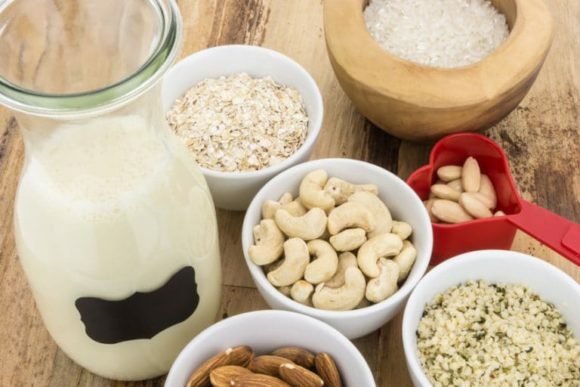 Common complaints from those who consume dairy (whether allergic, intolerant, or not) include bloating, irritable bowel syndrome (IBS), gas and malodorous flatulence, nausea, and chronic constipation or diarrhea. Also, Dairy is also on the list of the eight most common allergenic foods. For this reason, you might have negative health symptoms after eating dairy or foods containing dairy products. Besides digestive upset, people have complained that dairy causes excess mucus production in the respiratory tract. It may also be an asthma trigger. Avoidance of dairy may benefit people who have asthma or are prone to upper respiratory infections. People have also reported dairy as a trigger for arthritis symptoms, rashes, acne, migraines, narcolepsy, and/or unexplained inflammation. Avoidance of dairy in these individuals greatly reduced their symptoms. As a result of all of the possible reactions listed above, consuming dairy can lead to an increase in inflammation in the body. Chronic inflammation is most definitely not healthy, and can result in troublesome symptoms such as join pain, headaches, and others. Dairy consumption isn’t the only way to get its beneficial vitamins and minerals into your diet. Dairy is often touted as a good source of calcium. However, there are better sources of calcium besides conventional dairy products full of hormones, antibiotics, and pesticides. Some excellent sources of calcium include kale (24% DV), sardines (21% DV), broccoli (9% DV), almonds (8% DV), and bok choy (7% DV). You can also obtain calcium from fortified dairy alternatives. Calcium supplementation should be carefully considered as well. Please seek the help of a medical professional if you decide to use a calcium supplement. Improper use has been shown to increase calcification of the arteries and lead to an increased risk of some cancers. As always, it’s best to get your nutrients, such as calcium, from properly prepared, whole-food sources. If you do decide to supplement with calcium (I take this one), then be sure to find a quality calcium supplement that also includes K2 and vitamin D3, which all help direct calcium to be deposited in the bones, and not in the soft tissues (there’s an excellent article about this here). If you know you can tolerate dairy and you don’t want to avoid it completely, make sure you are consuming dairy from certified organic, grass-fed sources. Raw and fermented milk from trusted sources is a great option to consider. Make sure you opt for the full-fat version for some extra health benefits. Milk, cheese, yogurt, butter, ghee, amasai and kefir from other animals such as goats, buffalo, sheep and camels are other alternatives as well. Be cautious of whey and casein protein powders, even if they come from certified organic and grass-fed sources. When I decided to cut dairy out of my diet about 8 years ago, it was tough. I’m not going to lie that I craved cheese, ice cream, and yogurt for months after going dairy-free. This might have been a type of addiction. Over time, my cravings for dairy reduced, though, and now are rare. The point is that it takes time to learn to live without a food you’ve possibly eaten for decades. Go easy on yourself and take it one day at a time! Here are some common questions and answers about going dairy-free. What it means to be dairy free? Going dairy free means that you avoid any animal-based milk or milk products, including milk, yogurt, kefir, cheese, or ice cream. 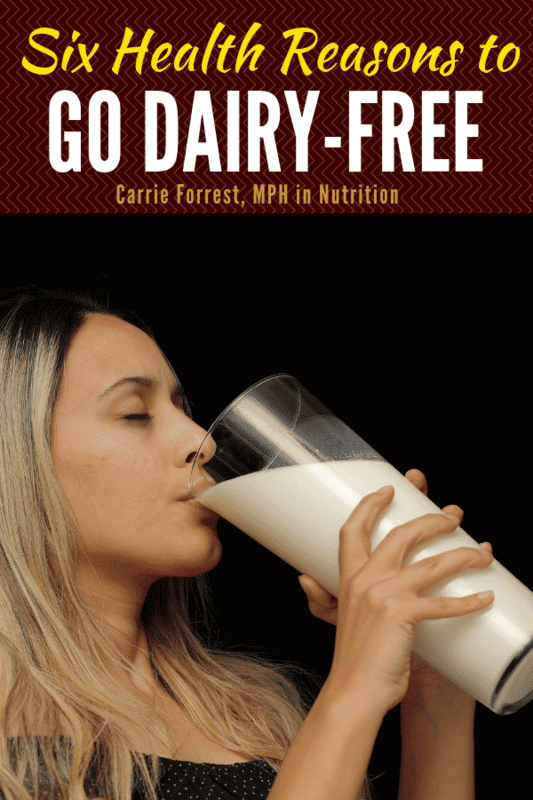 Will I lose weight if I go dairy free? Some people do lose weight after going dairy free, especially if dairy was contributing to inflammation. What can you eat on a dairy free diet? You don’t need to feel limited if you are on a dairy free diet. You can eat animal protein, whole grains, fruits, vegetables, nuts, seeds, beans, healthy fats, and eggs. What fast food is dairy free? It’s best to ask at individual restaurants which foods are dairy free. No, unless it is labeled as a vegan margarine or vegan butter. If you’re unsure whether or not you should go dairy-free completely, try an elimination diet. By cutting out dairy for a minimum of 3 weeks (some health practitioners recommend up to 6 weeks), then you can get a very good idea if you feel better going off dairy. You can learn more about food sensitivities and elimination diets here. 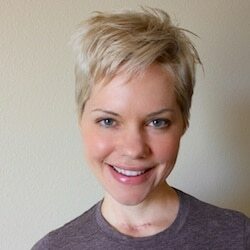 I was advised to eliminate dairy to assist with fixing leaky gut & to help my Hashimoto’s. It has certainly helped with my digestion & my Hashimoto’s symptoms. Thanks for sharing that, Paula. SO glad you are finding some improvement!!! Great article! These are very valid reason and we’ve cut way back on dairy and try to get organic, grass fed when possible! I became a pescatarian one year ago and am absolutely loving it. I would love to learn how to cook more vegan recipes as well! I am starting to learn how to make good swaps. I’ve been swapping out regular milk for soy milk for years because it just tastes so much better! Over the last 6 years I have eliminated dairy from my daily life with the exception of when I eat out. A lot of rich indian cooking involves dairy products and unless you cook at home it cannot be avoided. But over all I have been happier with no dairy in my life. I didn’t realize there were so many advantages to going without dairy. I had no idea about it raising insulin levels or causing stomach upset. I learn something new every day. Your alternative milk recipes sound scrumptious! I’ve been trying to lay off dairy for about a year now, and it’s quite hard! It’s easy to substitute ingredients at home, but sometimes in certain recipes the consistency is not the same. These are great reasons to try even harder! Thank you for sharing! I agree, it is hard to find the right substitute especially when baking with dairy-free alternatives. You’ve certainly convinced me! I prefer almond milk anyways, thanks for sharing! I’ve reduced my dairy intake over the past couple years, but cheesy pizza is still my vice. I have gone dairy free on and off throughout the years. I do enjoy how I feel without dairy!